Tim specializes in patent law at Carlson Caspers, dedicating the majority of his time to handling patent disputes. His practice encompasses all phases of patent litigation, including proceedings in Federal District Court and the Court of Appeals for the Federal Circuit. He also handles disputes in informal forums such as mediation and arbitration. Tim also has experience in counseling clients regarding potential patent disputes, conducting infringement and validity studies, and assisting clients in developing business plans for their patent portfolio. 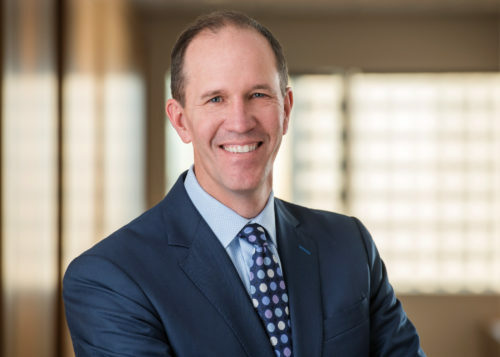 He is consistently featured as a SuperLawyer® in Minnesota Law & Politics magazine, and since 2013 has been listed in the Best Lawyers® in America annual editions. Before entering private practice, Tim clerked for the Honorable S. Jay Plager at the Court of Appeals for the Federal Circuit. ADC Telecommunications, Inc. v. Commscope Solutions Properties, LLC and Commscope Solutions, Inc.
CSI Technology, Inc. & Computational Systems, Inc. v. Commtest Instruments Ltd. & Commtest Instruments, Inc.